The contentious “right to try” bill that President Trump signed into law to help terminally ill patients get access to treatments that might — I emphasize the “might” — cure them or prolong their lives is more wishful thinking than it is reality. Right to try implies that a catalog of available drugs exists that can help patients if only they could get access to them. It’s easy to believe in a shelf of miracle cures to stop cancer — after all, media outlets are full of anecdotal stories of cancer patients who are now disease free. Some drugs, whether still in development or already available for other indications may, indeed, help some patients. But those cases are rare. Most drugs are likely to do little or nothing for most patients who have already failed standard clinical treatments. They may cause harm or shorten patients’ lives. The trick is to find some way to match individuals who have life-threatening ailments with drugs that are being investigated for possible therapeutic potential. Scientific journals, meetings, the internet, and the media would lead you to believe that the way to find the best treatment is by analyzing a person’s DNA. But numerous reports suggest that the current track record of genomics-based personalized medicine is less than stellar. Instead, the “trick” to matching individuals to treatments lies with a technique called drug sensitivity and resistance testing. This approach was tried in the 1970s and 1980s as a way to determine the best treatment for cancer patients. It involved collecting cancerous cells from a patient, growing them for a few weeks in a laboratory, then dosing samples with candidate drugs to see which, if any, might stop the cancer while preserving healthy cells. There were several problems with drug sensitivity and resistance testing. 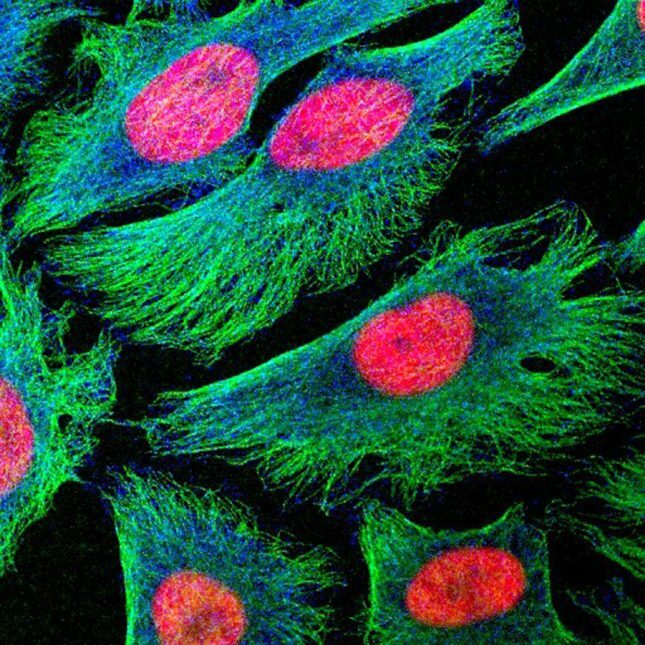 Growing cancer cells in lab cultures changed the cells significantly. Cultured cancer cells may respond quite differently to chemotherapy drugs than cancer cells inside the body. And the earlier forms of drug sensitivity and resistance testing required skilled pathologists to analyze the cells after treatment. This approach was eventually abandoned. In 2011, the American Society of Clinical Oncology stated that there was not enough evidence to recommend it for clinical use. Recent advances in drug sensitivity and resistance testing suggest that we take a second look at it as a way to match cancer patients with drugs that might help them. Researchers in Europe, initially at Finland’s Institute for Molecular Medicine, modified the standard drug sensitivity and resistance testing technique. Instead of culturing cancer cells, they used them immediately in miniaturized assays, sometimes leaving healthy cells in the mixture to better mimic the natural environment. This reduced the time from sample collection to results by more than two weeks while eliminating many secondary mutations. This team also used simple biochemical assays to check for the cancer cells’ responses to various therapies instead of a trained pathologist’s microscopic analysis of cells. Researchers in Spain have shown even better results using whole blood samples in their functional assays. Various research teams have also employed drug sensitivity and resistance testing to identify novel uses for existing drugs. The Finnish team identified axitinib, an anti-angiogenic drug approved for treating kidney cancer as a possible treatment for acute lymphoblastic leukemia among patients with a specific mutation whose cancers had become resistant to drugs available for that type of leukemia. Researchers at Uppsala University in Sweden suggested repurposing quinacrine, a drug originally used to treat malaria and parasitic infections, as a treatment for acute myeloid leukemia. Other teams are exploring quinacrine’s utility for treating other cancers. An international team found that picropodophyllin, a compound made by plants in the mayapple family (Podophyllum), can inhibit large B-cell lymphoma. In each of these cases, the researchers linked their initial results from cancer cell drug sensitivity and resistance testing with follow-up genomic screening to understand why the drug worked. But the important fact is that they were looking first for results and then for the reasons that led to the results. While the initial focus was on blood cancers, researchers at Uppsala University extended the technique to more than 40 solid tumors including breast cancer, prostate cancer, and colon cancer. Researchers at the Institute for Cancer Research in London reported that patient-derived organoids can be used to model the response to cancer therapy with excellent results for sensitivity, specificity, and both positive and negative predictive values. Writing in Nature Medicine, Dr. Anthony Letai of the Dana-Farber Cancer Institute in Boston described an approach he calls functional precision cancer medicine. Recognizing that the results of purely genomics-driven tests have been unremarkable, with only a small percentage of patients being helped, he proposed an approach that enlists drug sensitivity and resistance testing along with other techniques to challenge cancer cells and identify positive phenotypic changes. Right to try is not a useful approach if you have no idea which of the thousands of drugs might be beneficial. But revived and revised drug sensitivity and resistance testing protocols offer a way to direct patients to new potential cures. This solution provides wins all around: Patients get relief from illness, clinicians save patients, insurers save money by reducing the rounds of therapy needed, and pharmaceutical companies expand the indications for their existing drugs. Joe Olechno, Ph.D., is a senior research fellow at Labcyte Inc. The company makes an instrument (an acoustic liquid handler) that is used by some groups in drug sensitivity and resistance testing. Olechno makes an important point about “right to try” here: right to try does imply that there are lifesaving drugs in development waiting to rescue patients. He is also correct that most investigational drugs can offer little hope to those with dire prognoses who have exhausted all other treatment options. However, his solution — “to find some way to match individuals who have life-threatening ailments with drugs that are being investigated for possible therapeutic potential” — has no relevance to right to try. There are many problems with right to try laws, but an inability to identify the right drug for the patient seeking access isn’t one of them. Olechno’s proposed method of pairing patients to interventions through an updated version of drug sensitivity and resistance testing promises to determine “which of the thousands of drugs might be beneficial” to those seeking access via right to try. There would be “wins all around,” he asserts, echoing President Trump’s hollow rhetoric about right to try legislation. But he misses important problems with right to try. First, he claims that patients will get relief from illness; yet he himself acknowledges that “most drugs are likely to do little or nothing for most patients who have already failed standard clinical treatments.” Then he says that clinicians will save patients, but this won’t happen for the same reason his first claim is misguided: even “matched’ drugs are not likely to benefit patients, even if they may have shown benefit in mice. Olechno states that insurers will “save money by reducing the rounds of therapy needed”; not in this country, where no right to try law, federal or state, requires insurers to cover drugs obtained through right to try and where insurers don’t cover experimental treatments at all. And he says that drug companies will “expand the indications for their existing drugs.” It’s difficult to see how this will happen when there are extremely limited data reporting requirements for right to try, and the ones that do exist concern reporting deaths and serious adverse events — occurrences that hardly encourage indication expansion. Olechno’s idea of matching patients to interventions through drug sensitivity and resistance testing is intriguing. It is something that could benefit many patients, but, unfortunately, probably not the ones with terminal or life-threatening conditions who have exhausted existing treatment options who are the audience for right to try legislation. Neither would it address any of the ethical and practical concerns about right to try, including the crucial question of who would pay for matching and access. His is a match game with the tiniest chance of anyone who is terminally ill winning.